I will take a picture of this dish next time I make it so you can see what it looks like. This recipe was born when I was a young mom. Over the years, I have tweaked and altered it using what is available in the cupboard. It is easy to prepare and so versatile. 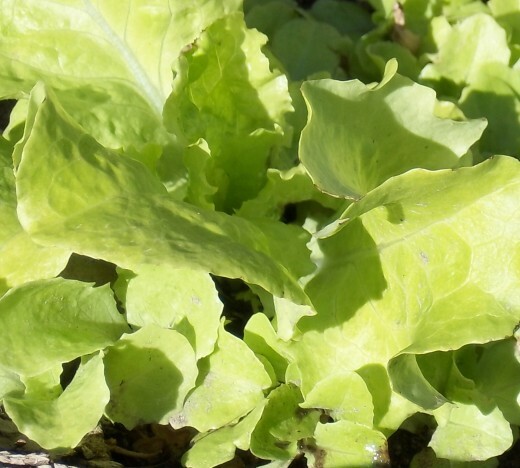 Family members have used it on tacos, tostadas, salads, and as a main dish paired with a salad and corn bread. Brown the ground beef adding the pepper and chili powder. Chop and add the onion when the ground beef is browning. After the beef and onions have simmered and browned, add the tomato sauce and diced tomatoes. Stir. 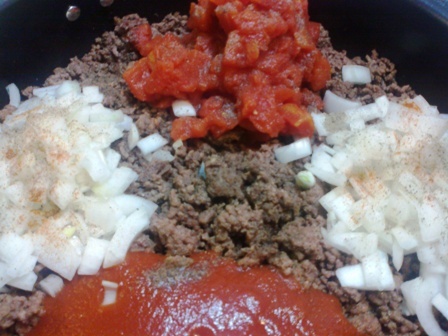 Add the taco mix and stir again, mixing the season packet contents with the beef, onions and tomato sauce. Add the cooked brown rice. Allow the mixture to simmer until it thickens up. Depending on how you will use it, the desired thickness will vary. You do the choosing with this. When I use this as a main dish with the rice, I don’t thicken it too much until after adding the rice. 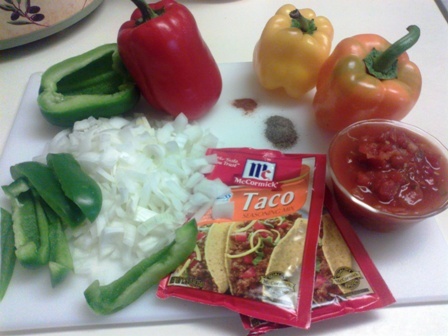 When using it as a base for tacos, I use little or no rice and allow the sauce to thicken. Follow your taste buds to create variations of the Base Recipe. Throughout the years I have used the following additions to create new and different tastes and uses for the base. Add a small package of corn to the mix. Add Black Beans to the mix. Add a cup of your favorite salsa to the mix. 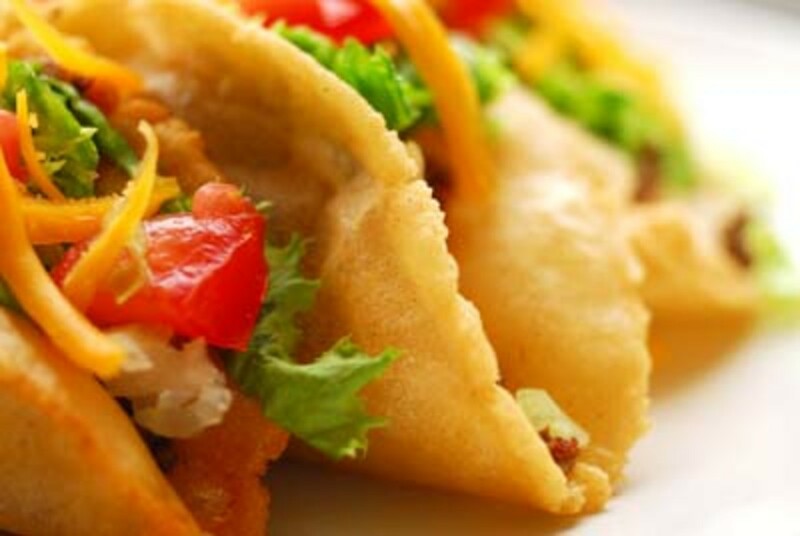 Use refried beans instead of brown rice for a great tasting taco or tostada. Go low carb by using very little rice and pairing it with a salad. Add bacon bits for a flavor boost. 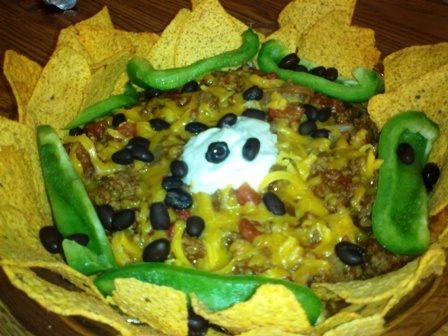 Use as a base for nachos by eliminating the rice and using black beans and kidney beans. Use as a soup. Just double or triple the amount of tomato sauce and diced tomatoes. Stewed tomatoes also work well when using this recipe as a soup. This dish is economical and satisfying. When I go to potlucks or have people over, it is my go-to dish. 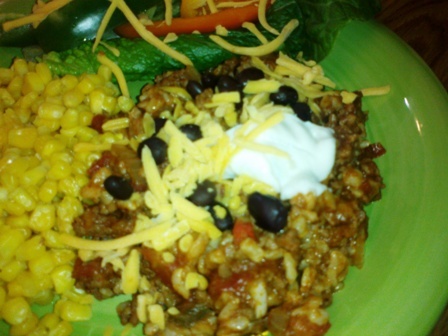 People really seem to like it, and it is relatively inexpensive to feed a large number of people with this recipe, especially when the corn and black beans are added to the mixture. The beauty of using this recipe is that you do not have to follow it exactly. Use flavors you like to compliment it such as bell pepers, jalipinios, Walla Walla Sweet onions, cilantro, and any other flavors you think will compliment the base recipe. As a main dish, you can sprinkle the top with shredded cheddar cheese and sour cream. This dish can be cooked in the slow cooker after browning the beef. 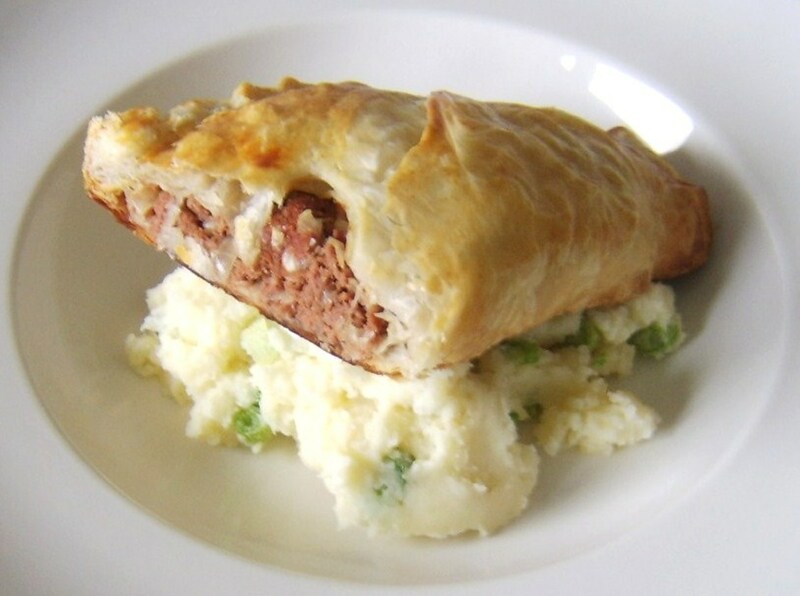 It is also very easy to freeze as a home made convenience food that is healthy and has no preservatives. When I make this recipe I usually make a double batch and freeze half, portioned both in single-serve containers as well as a couple of larger containers for main dishes that can feed around four people. I hope you will try it out and let me know how you liked it and tell about your own variations of this recipe. Brown Rice: Using brown rice instead of white rice improves the dish by adding complex carbohydrates. To cook with brown rice, be sure to allow additional cooking time with your rice. One technique for cooking rice is to add enough water so that the level of water is about two inches higher than the layer of rice. Most people add a pinch of salt and about a tablespoon of oil to the rice to prevent clumping. You can use olive oil or canola oil to achieve great results. These oils are considered to be healthy oils, and good for your diet. Whole, Peeled Plum Tomatoes: Plum tomatoes tend to have more substance, and hold up well when cooked. They provide rich texture and a variety of vitamins and nutrients, including lycopene, which may, as Wikipedia states, be linked with reducing cancer risk. It is best to add plum tomatoes later in the cooking process so that they cook only 30 to 40 minutes. This way, they are not over cooked when the dish is served. Onions: Even when using a taco mix as a base to the flavor in this recipe, adding your own fresh ingredients adds texture and flavor. Onions, when cooked, add flavor gently. You can add as much, or as little as you like, but remember, the flavor of onions is toned down through the cooking process. Onions also contain antibiotic properties, when aid in healing and warding off infections. Stuffed Green Peppers are another one of those family favorites. Your whole meal is scooped into a Green Pepper cup and baked for 30 minutes. Not only is it easy to prepare but it's also easy to serve and tastes delicious! 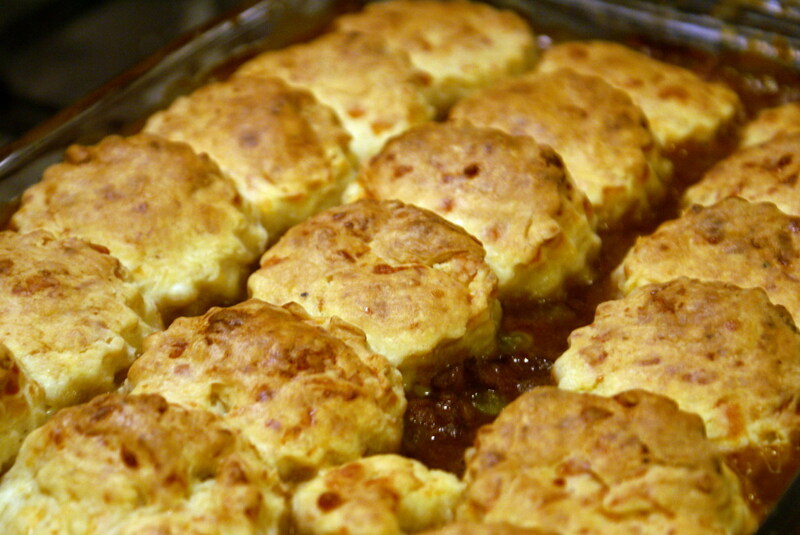 Minced ground beef and vegetables stew recipe. 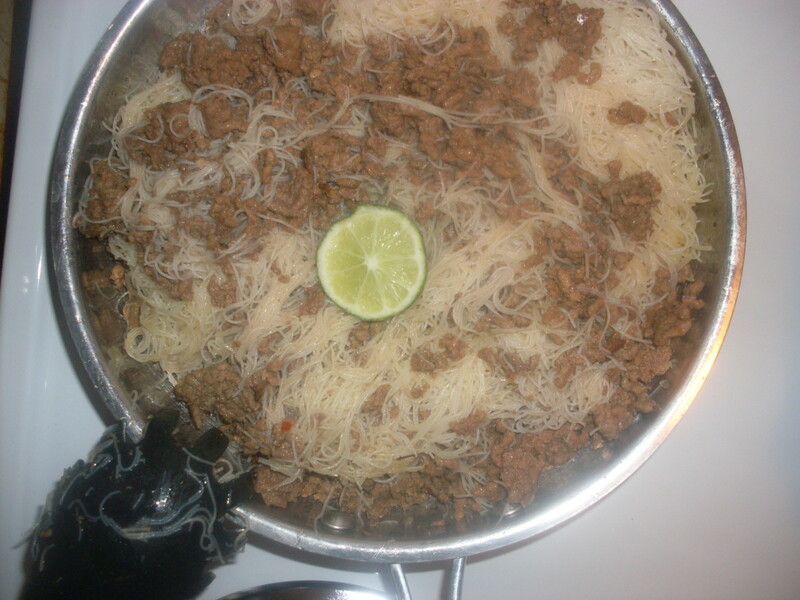 Recipes for mince and ground beef. Thanks phdast7! I'll bet there are lots of variations out there. We just haven't heard of them all yet. Hi Peggy! It is nice to meet you. You are an experienced Hubber and I want to thank you for taking time out of your busy schedule to read the work of this new Hubber. This is my first time sharing a recipe, so I wasn't sure how to do it. Thank you for the kind words and for welcoming me to HubPages. Your basic recipe sounds good and I also like all the variations you offer as alternatives. Sounds like you are a good cook. Welcome to HubPages!